I fondly recall a time in my ministry more than a decade ago when a man would not come worship with us because he did not have the clothing he felt would be acceptable in church. I told him that if he would just come the next Sunday, I would wear jeans, if that would make him feel more comfortable. The next Sunday, I dressed in blue jeans and thankfully, he came to church with his wife and child. He was amazed that I kept my promise, and his family continued to worship with us for years thereafter. It seemed like a small matter, though to him—and I am sure to some in the congregation—it was a big deal. In each of our readings today, we see examples of the seemingly drastic measures that God will go to in order to bring people to repentance. 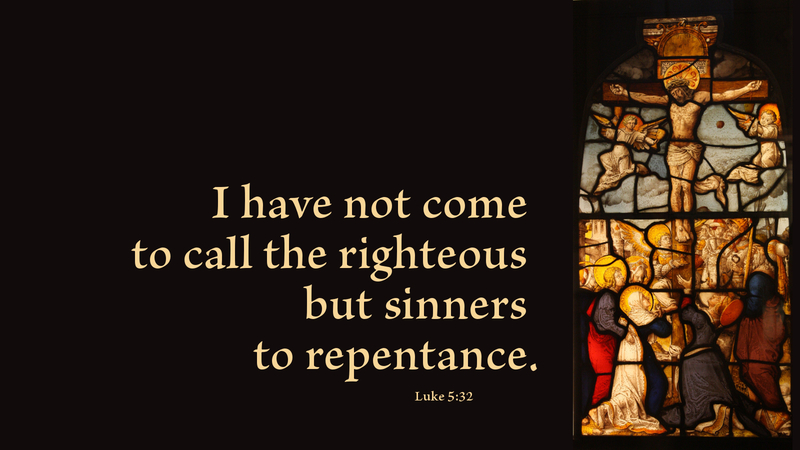 May we bear in mind, as God calls us to lead sinners to repentance, that we too are poor sinners for whom the Father employed the most drastic measure of all: he sent his own Son to die for our sins. Prayer: Thank you, Lord, for daily leading us to repentance and to the abundant forgiveness available through Jesus Christ, our Savior. Amen. Today’s devotion was written by Mark Ryman, Pastor of Grace Lutheran Church in Advance, NC, and Communications Coordinator for the NALC. Good morning Mark. Once again, your words hit the mark! Thank you for sharing this anecdote and for showing how simple love and humility drew that man to Jesus! The memory scripture for my granddaughter (and her choir) this month is I Samuel 16:7 and last month’s was Micah 6:8. I plan to share your story with them this Sunday. May the Lord bless you and your granddaughter and the whole choir as you share his powerful word.